The playing field diagram. Taken from the official baseball rules. 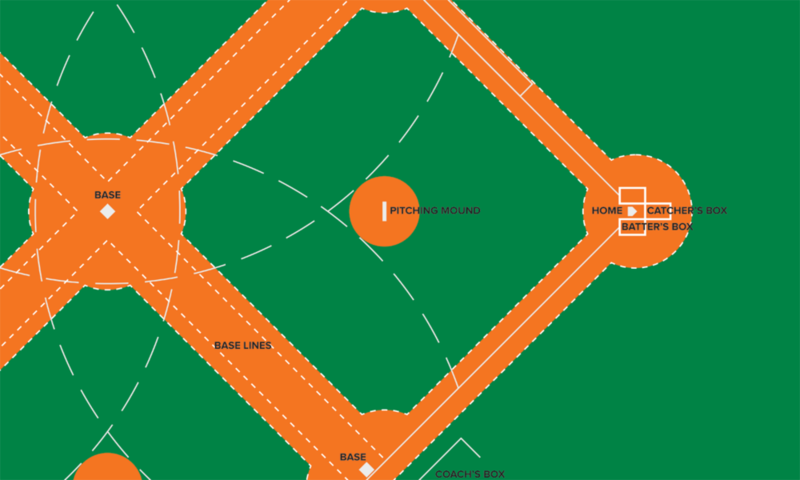 Three absurd graphic representations of baseball fields, each multiplied and rotated 4 times. The centre (radial) of the fields, change per each drawing according to 3 different positions-players: pitcher, batter, and second-basemen. This transformation creates an impossible game, but also a new possibility for the game to be played in a distinct way.